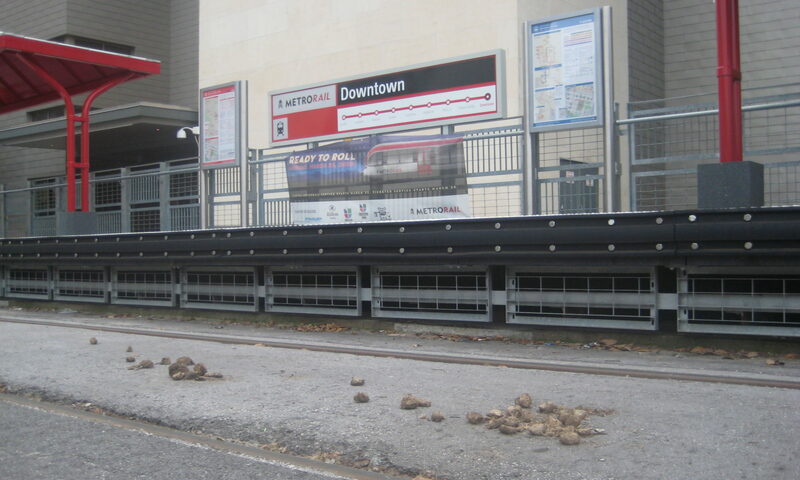 I posted this link on twitter with the caption: “Austin Urban Rail Goes To Hell”. Note entry number for giggles. I really don’t have time for this, more about salve with the 60 hour workweeks, shop young family including baby that still doesn’t sleep nights, and impending back surgery, but I have to say something, so I’ll be brief. Recently, the plans have crystallized – and it’s bad. Shared running almost everywhere – except for one (admittedly long, but not really relevant) stretch from I-35 to the airport, the trains will be stuck behind cars – or at best, buses (including local buses). No, a ‘possible future transit lane’ on Guadalupe/Lavaca doesn’t mitigate; unless it’s reserved for ONLY Rapid Bus and the train – and I don’t see that happening; it’s going to be stuffed with locals too, and that’s if it even happens. Unlike Brewster McCracken, who talked up reserved guideway everywhere except the leg out Manor to Mueller, Leffingwell’s team has relented and the plan now calls for the trains to be stuck in traffic almost everywhere important. McCracken talked about “time certainty” being a big deal on a trip to/from the airport (or to/from work, of course). You don’t get that without your own lane – period. No amount of Rapid [sic] Bus technology is going to get you there. This rail plan, in its current state, is not worth fighting for. In fact, it’s probably worth fighting against, as was the 2004 plan that so many of the “why don’t you just stay civil” folks failed to affect in any way, shape, or form. Be ready for a lot of the same people who claimed from 2004-2010 that car drivers would switch in droves to a train that required them to ride shuttlebuses to claim that the fact that these trains are stuck in traffic won’t keep people from switching to them. Remember who was right before, and who’s been wrong the entire time. Or just be lazy and maintain access to the gladhanders to stay “civil” – and hold hands as we all ride the train off the cliff together – your choice. And Not a done deal, you say? The engineering docs look pretty much done-deal level to me; as do the interactions with the media (note: the ONLY media outlet to cover the issue of guideway AT ALL was “Impact Central Texas”; their story here – good job guys; and shame on everybody else). The urban rail system route is expected to follow Guadalupe and Lavaca streets, San Jacinto Boulevard and Congress Avenue. It will travel with traffic and may potentially receive signal priority at traffic lights, similar to Capital Metro’s buses. An urban rail system in Austin is expected to cost $200 million in its first phase of development. The track will be 33.8 miles in length and extend from Mueller to downtown to the Austin Bergstrom International Airport. Photo by Bobby Longoria/Community Impact Newspaper. Click for a larger image. “Big difference between this and a bus is that it can fit 170 people, mostly standing, where a bus caps out at 60 or 80,” Spillar said. Hey guess what another big difference between this and a bus is, Rob? The bus that’s stuck behind somebody double-parked can change lanes. A train sharing a lane with cars is the worst transit possibly imaginable in a city where most people drive – it has the worst aspects of buses and the worst aspects of trains with almost none of the good parts of either. If your train runs on freight tracks, can’t run in the street, and requires shuttle buses – IT’S NOT LIGHT RAIL. Know what else? If your train doesn’t have its own lane – and relies on the same crap Rapid [sic] Bus uses to get a leg up, IT’S ALSO NOT LIGHT RAIL. Summary: If you want to live in a city with good urban rail, your best bet now is probably to move away. Seriously. spreadsheet behind this image coming sometime down the road, maybe. CM flacks like JMVC and board members like Mike Martinez are making statements that rail ridership has improved. 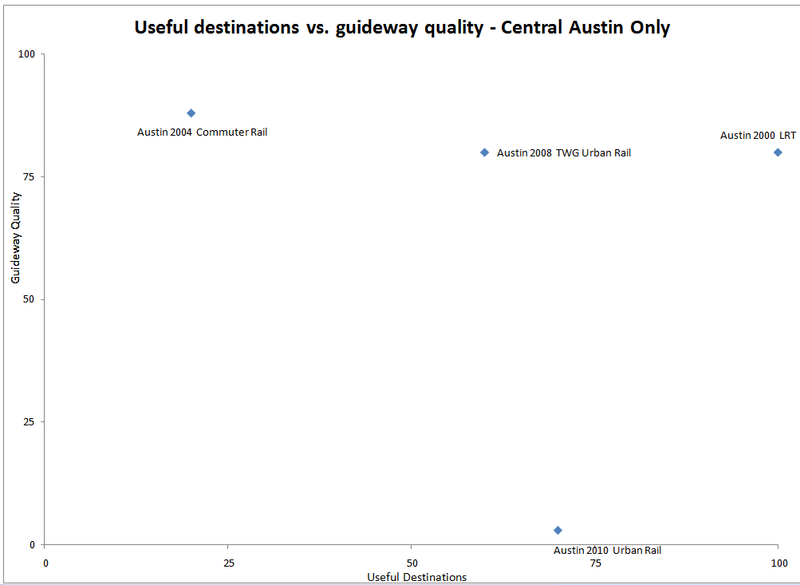 Here’s 3000 words to the contrary, pulmonologist fresh off Capital Metro’s presses. First two pictures directly from them; third one directly from me. 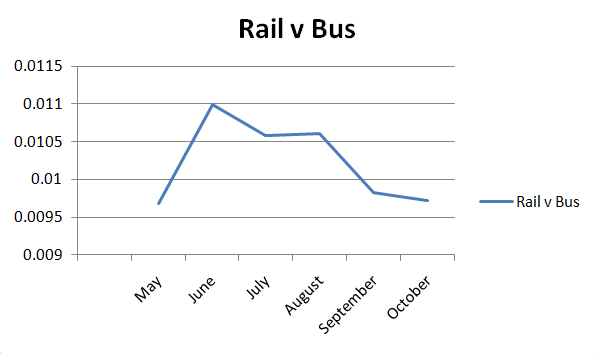 How is rail ridership doing? 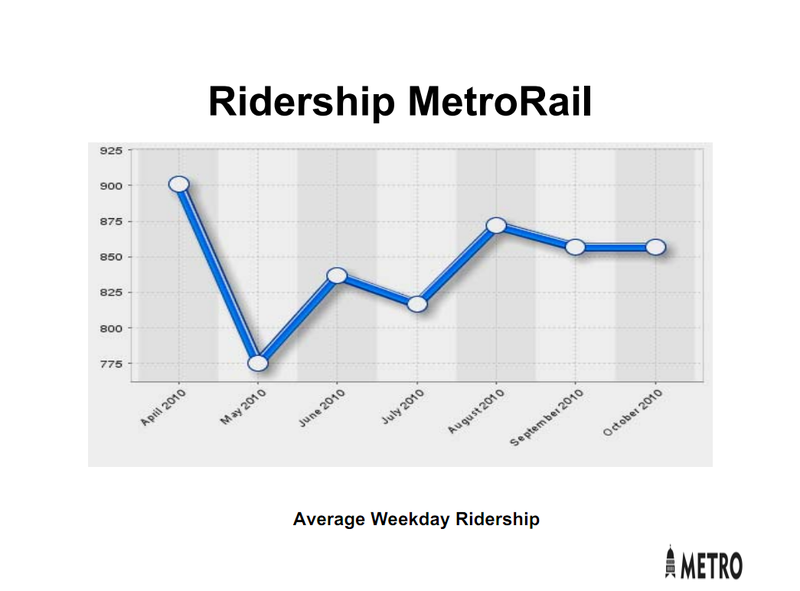 Was that spike in rail ridership meaningful? 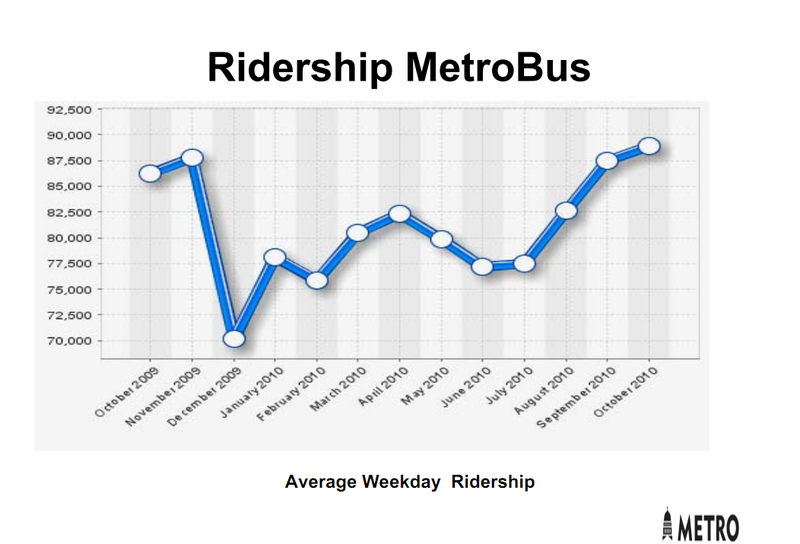 How has rail ridership compared to bus ridership (the control group for things like gas prices)? My most recent Austin Sierran arrived (guess what? M1EK is a life member!) and as I usually do, there I read the minutes from the monthly meeting. In it, I learned that the board apparently opposes plans to build a bike/pedestrian bridge across Barton Creek (to fill a huge gap in the bicycle commuting infrastructure in that part of town – where the frontage roads end on either side of the creek). They oppose this bridge because the construction of the pilings would likely impact the creekfloor and a few other features – in a part of the watershed that’s very close-in already (arguably not contributing to the springs at all) – a likely one-time disturbing-the-sediment impact akin to the kinds of floods we see ten times a year in a rainy year. The geniuses behind this decision suggested more improvements to South Lamar, which is only a couple of miles, a couple of extra hills, and another freakin’ expressway out of the way for cyclists trying to commute to the center-city from points far southwest and west. Yes, there are people who commute from this far out – not as many as we would like, of course, hence the issue. Newsflash: If experienced cyclists are willing to squeeze into the couple of feet on the mainlane bridge that’s all they get (northbound) right now to avoid going this far out of the way (and yes, they do this now), a few improvements to South Lamar aren’t going to cut it for either the experienced cyclists or the novices. And supposed improvements to South Lamar, whatever those would be, aren’t going to fix 290/71 either. 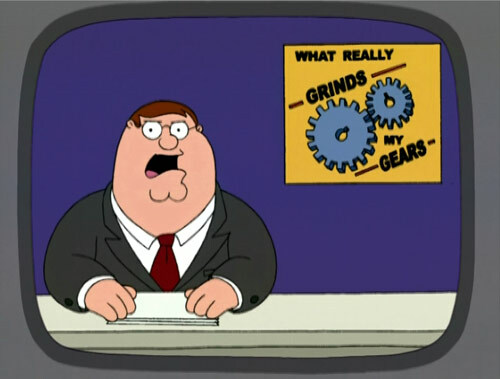 As I get ready to go into the hospital, this really grinds my gears. The Austin Sierra Club, from what I can tell based on their positions taken ever since I’ve lived here, is most aptly represented by the following stereotype: Aging hippie driving an old Volvo 20,000 miles per year into the city from their little homestead out in the suburban regions – the whole time fighting condos, fighting bike facilities, fighting urban Wal-Marts; fighting everything the suburbanites also don’t like – while somehow failing to recognize that the least green resident of one of those downtown high-rises is causing less environmental damage than they are; and the ones riding their bikes places (even from the burbs) are freaking saints in comparison. As you can guess, this is not the first disagreement of this nature I’ve had with this sort of ‘environmentalist’. Years back, when I was on the UTC, the Parks Board, infested with a few of this type, actually opposed putting bike lanes on Barton Springs Road through Zilker park on the theory that the additional five feet on each side of pavement would cause too much environmental damage. This, of course, while (most) of those people thought nothing of driving out to John Dromgoole’s Natural Gardener, putting another fifty miles round-trip on the old Volvo. It would be super-neat at this point if some adults got the Sierra Club to actually live up to their ideals – which would mean, for instance, strongly supporting dense infill construction everywhere (even when it’s close to a Sierra Club member’s single-family house); strongly supporting alternative transportation (rather than just paying it lip service while driving that beat-up Volvo everywhere); strongly supporting the restoration of retail to the core (even when you find Wal-Mart aesthetically displeasing when it dares pop up in your ‘neighborhood’); etc. I won’t hold my breath, though. No, I’m not going to the f**cking meetings to say this. Yes, this is part of the problem with the meetingocracy. The hippies in the Volvos are the ones with the most time, and they’ve successfully fooled everybody into thinking that if you don’t show up in person, you don’t care; just like how everybody else has done on every political point of consequence in Austin. Rule By Those With The Most Time On Their Hands: How Could This Possibly Go Wrong? The VMU debate really crystalized this for me. Before, there were isolated cases of NA’s fighting this or that project. But the VMU zoning process really showed that all the NA’s are opposed to the type of infill that makes biking and public transport possible. Yet polls generally show the majority of the public supports denser development. Let Austin become the city it wants to be! I’ve been waiting 15 years for this bike path across the creek. There is no safe route from SW Austin today. The biggest reason I don’t bike commute today is this safety issue. You forgot “think nothing of driving the Volvo to Whole Foods to buy imported organic food, shipped from overseas on giant smoke-belching containerized cargo ships”. This is frustrating to hear. I live in Southwest Austin and would love to be able to bike in town more easily and safely. Some people don’t understand ideas of compared risk and cost benefit analysis. There might be some one time damaged to the creek, but it will enable a long term benefit. Ugh. A way for bikes/pedestrians to cross Barton Creek Between downtown and Mopac is sorely needed. I can tell you from experience that with proper sediment control during construction of the pilings, the impact to the creek is minimal. Once constructed, impact is nonexistent. Meanwhile, every vehicle mile driven increases the trash, VOCs from asphalt, and oil/gas/other fluids that leak from cars that will all find their way into the creek. I say this as a driver who works along this greenbelt and wishes there were an easier way to get here that wouldn’t involve a car.